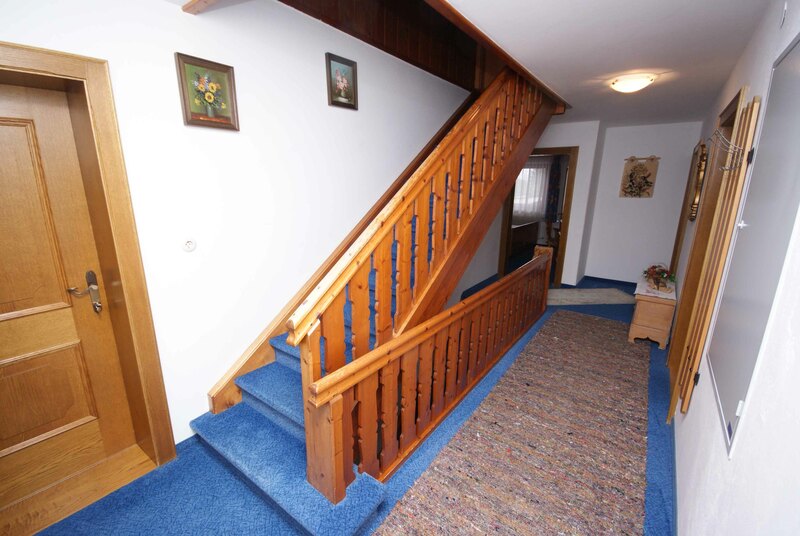 Next to a blue piste with ski lift and a cross country ski trail. 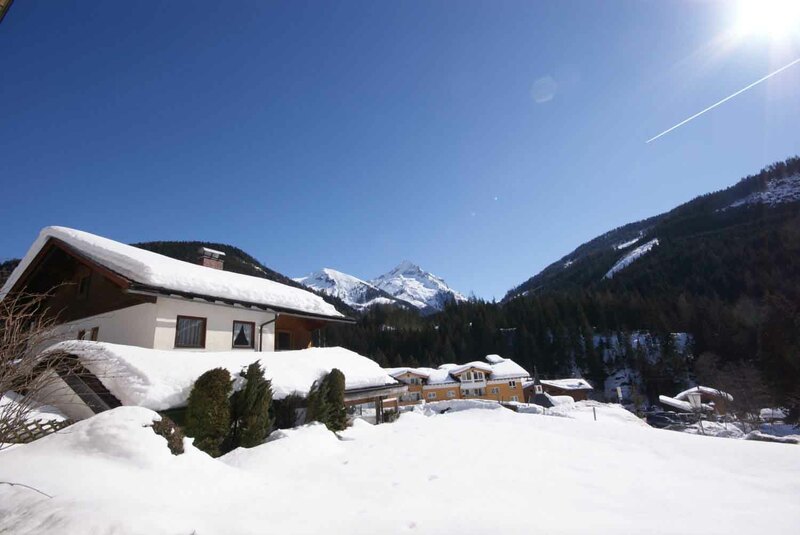 The slope besides the chalet is ideal for families with children and beginners. 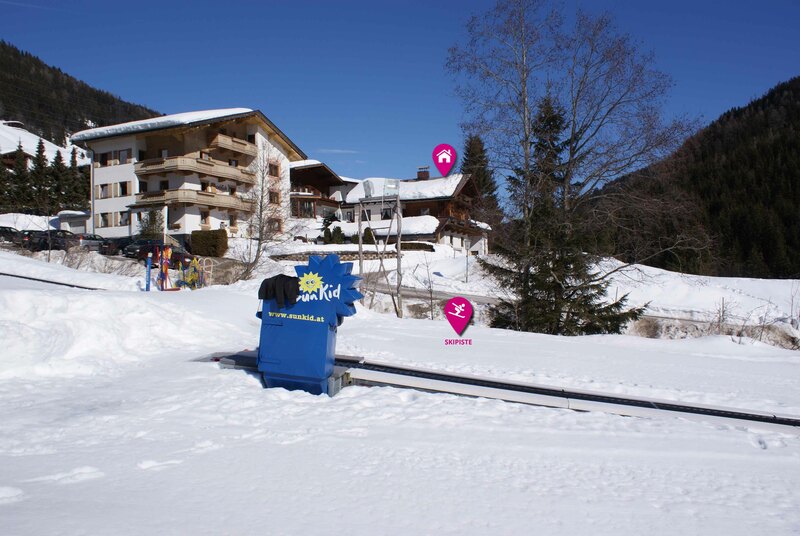 On this piste you will find also a SunKid conveyor belt/lift and you can get ski lessons here. Tucked away from the hustle and bustle of Gerlos centre. 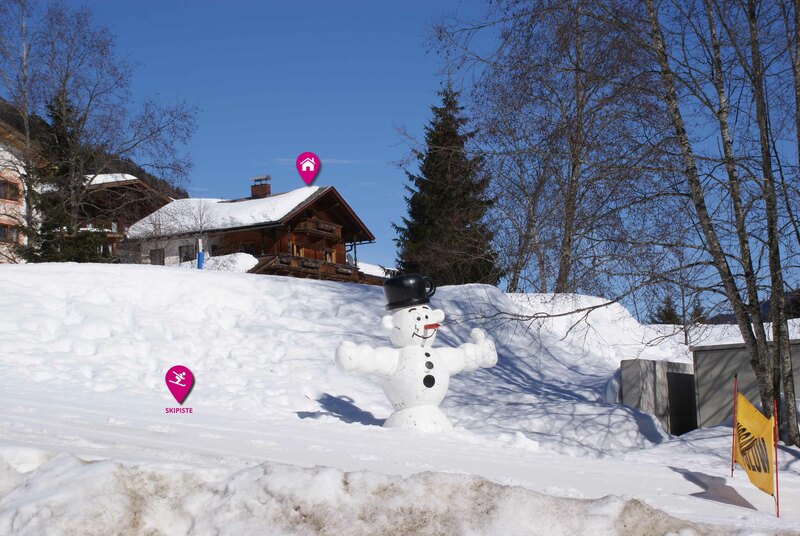 It is only 75 metres to the bus stop for the free ski bus and night bus (€ 2,- p.p. 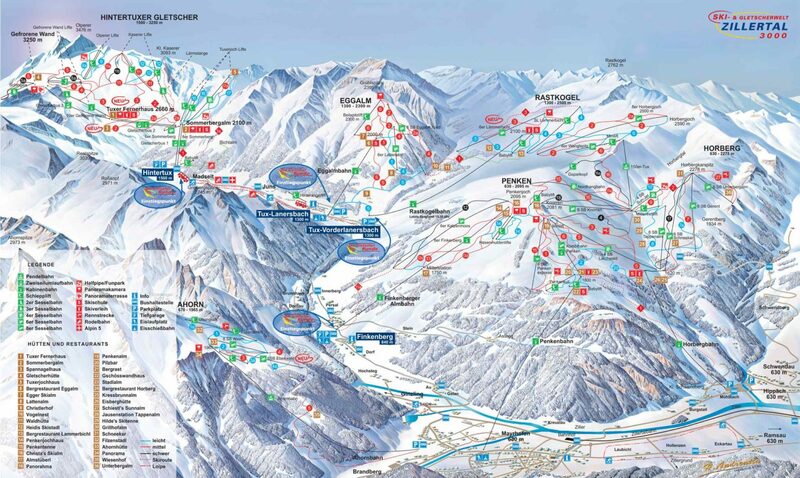 until 2 am) taking a few minutes to the Dorfbahn gondola, centre and après-ski. And the start and end of the ski day is made even easier for our guests, who have rented skis as we have organised free ski and heated storage in our ski hire partner’s resort centre shop at the Dorfbahn, so you don’t have to carry your skis to and from at all and can head straight for the après-ski in your own comfy footwear. 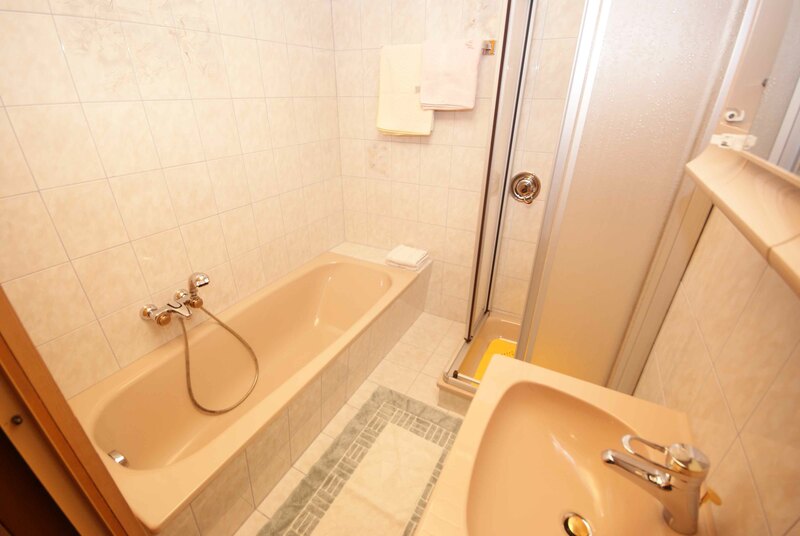 All five bedrooms are spacious, most of which have its own full en-suite bathroom with shower, WC and basin. 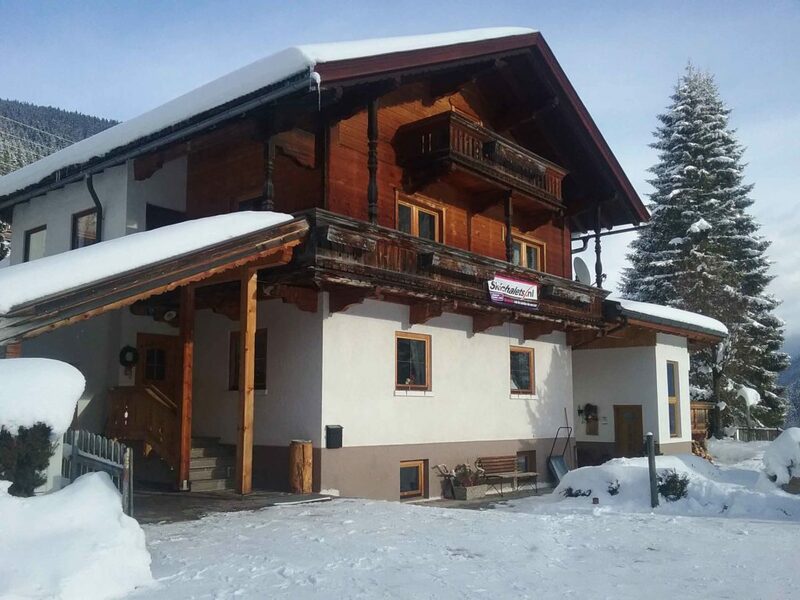 This chalet offers a living and dining room with a traditional Austrian ‘Kachelofen’ and a living room with a large flatscreen TV and a balcony with great views across the Zillertal valley. 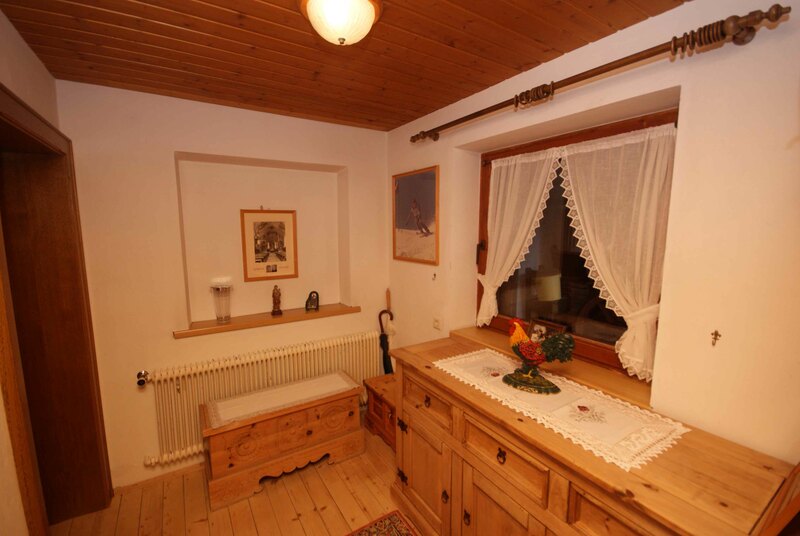 Giving the chalet an authentic and alpine-esque ambience. 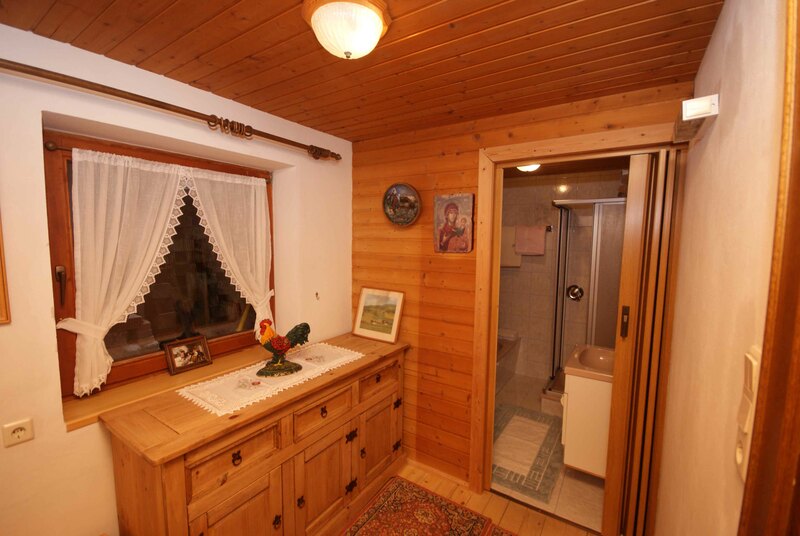 With its welcoming warmth, it’s not surprising that untill now, the chalet has been a private home. At the end of the day store your skis in the heated ski and boot room. 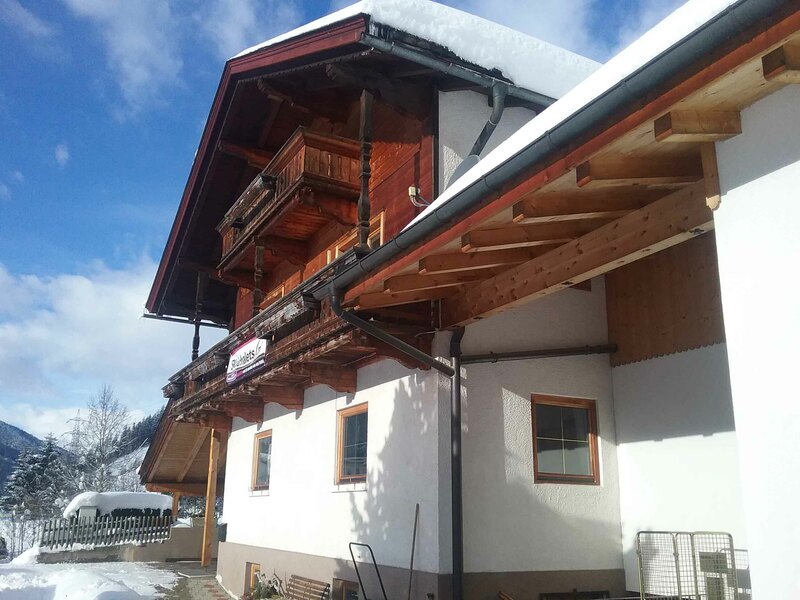 There is a free parking place at the chalet. 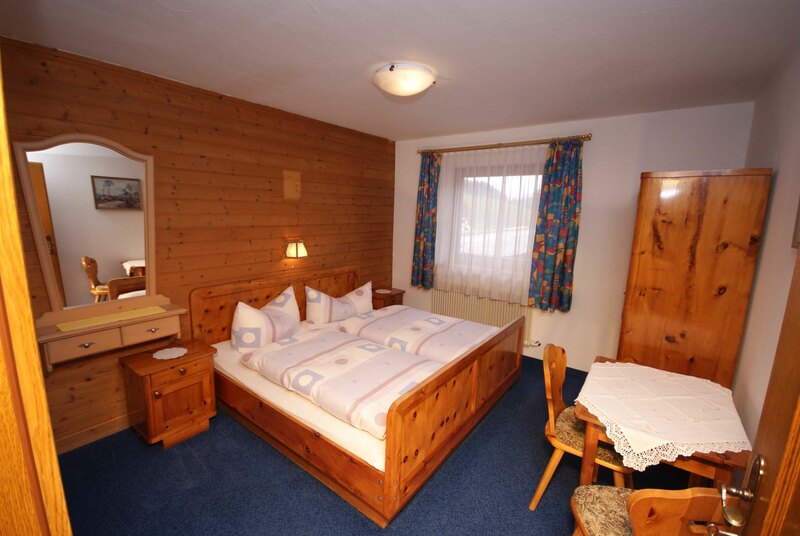 Embedded in the superb landscape of the Zillertal Alps, Gerlos is the pearl of this ski valley. 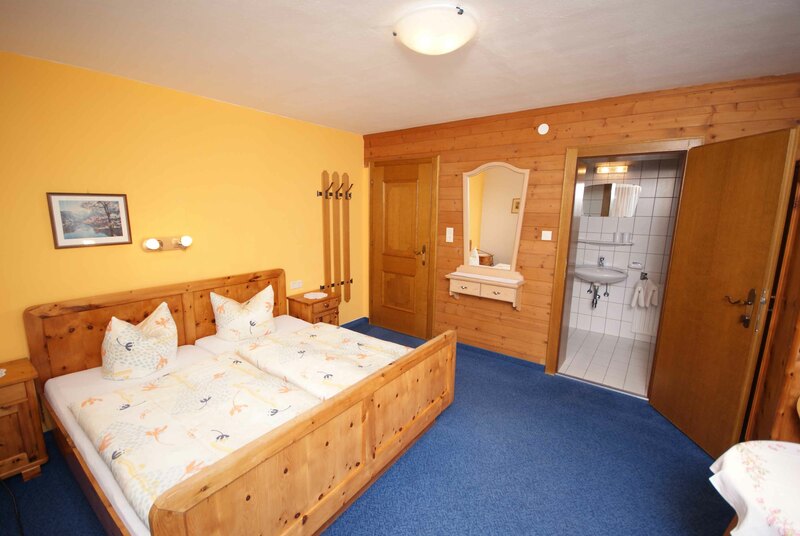 Whether you’re challenging the curvy ski slopes, making your way to the peaks with your hiking boots, or simply chilling out, this is just the place for endless holiday pleasure in the heart of the Zillertal Arena. 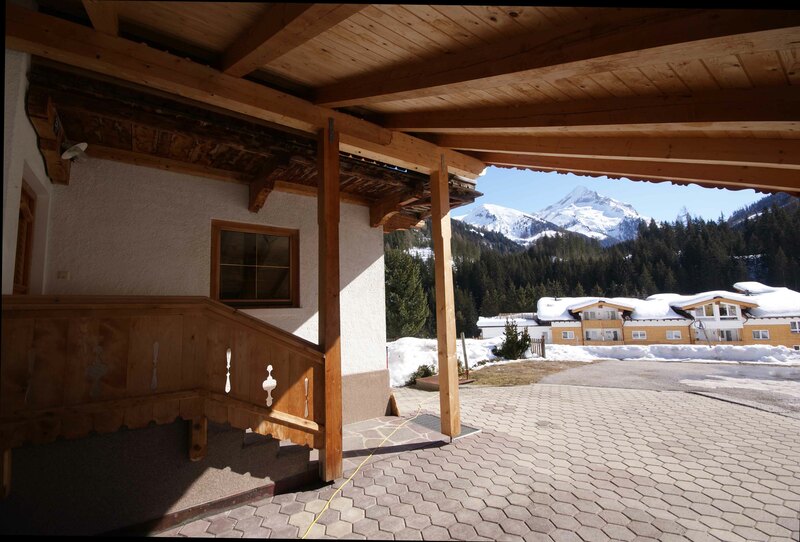 The beautiful, friendly mountain village of Gerlos lies on the border between the provinces of Tirol and Salzburgerland. 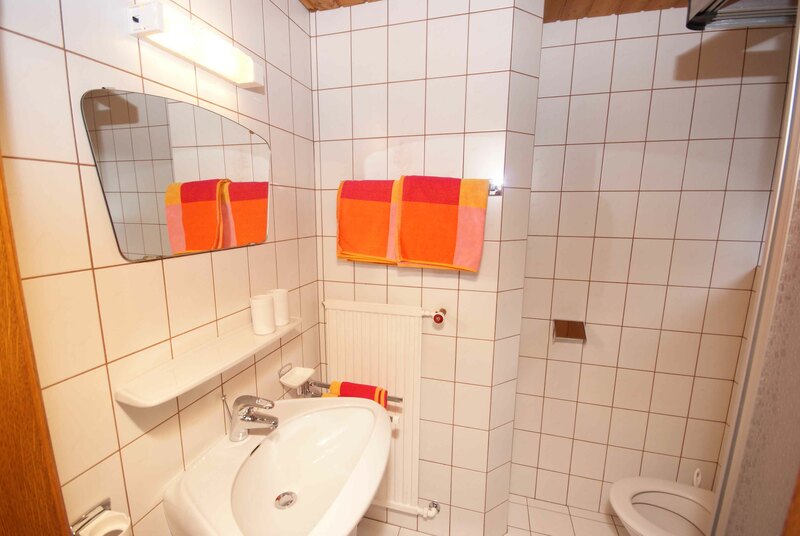 The delightful Austrian village is especially popular with the Dutch. 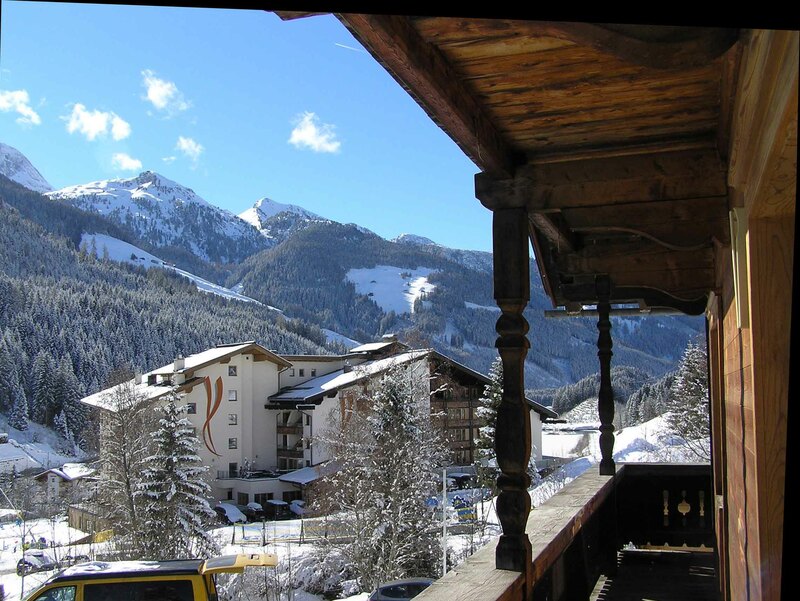 With its main street full of different types of accommodation, its many cafés and bars and its friendly restaurants, Gerlos also offers excellent après-ski facilities. 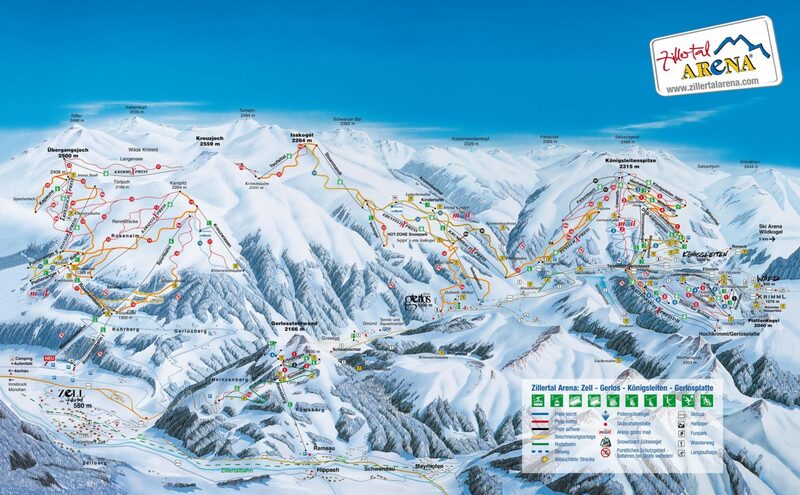 Since Gerlos is part of the huge Zillertal Arena, the skiing opportunities are literally endless. 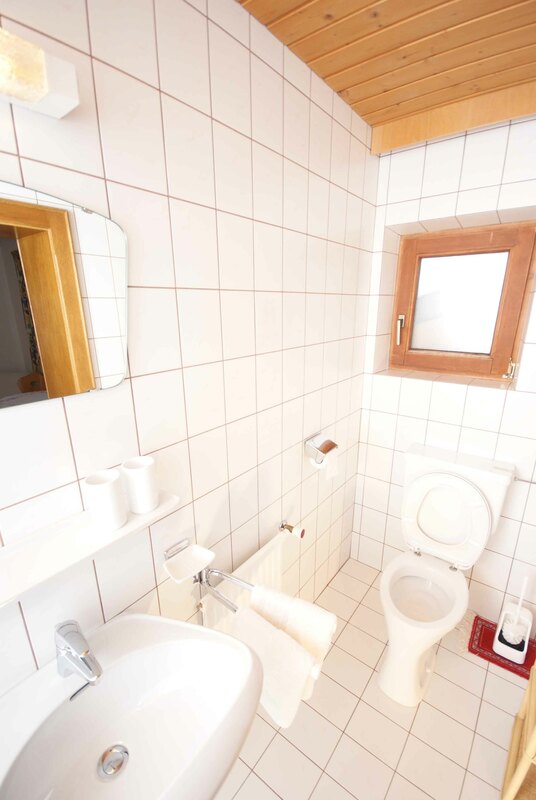 The Austrians have a jovial, warm-hearted reputation. Once the sun goes down, it is time to settle in one of the many pleasant, good-quality bars Gerlos has to offer. The ‘Cin-cin’ and ‘Little London’ are both legendary establishments. Bratwürst and schnitzels fly across the counters like hot cakes, and everybody joins in with the ‘schlagers’ with gusto. Night owls can dance the night away in clubs like the ‘Country Club’. To cut a long story short: après-ski is big in Gerlos. 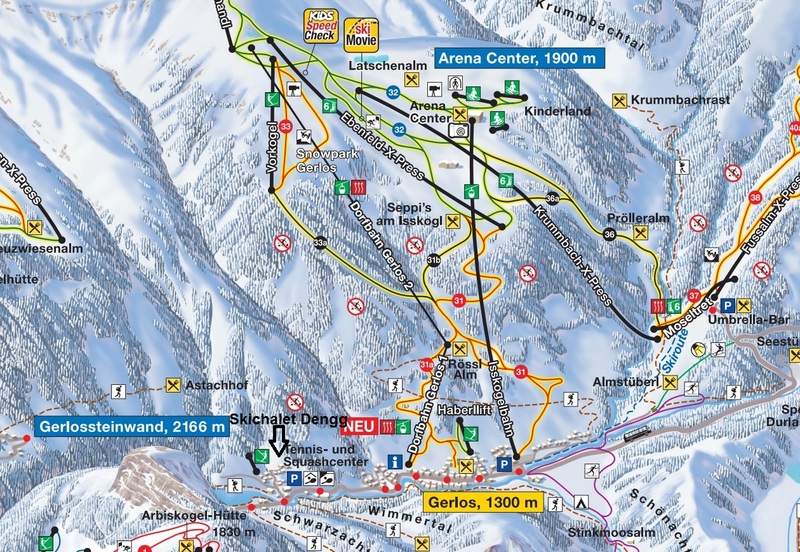 Ever since Gerlos was linked to the Zillertal Arena, the number and the length of the ski runs has increased significantly. 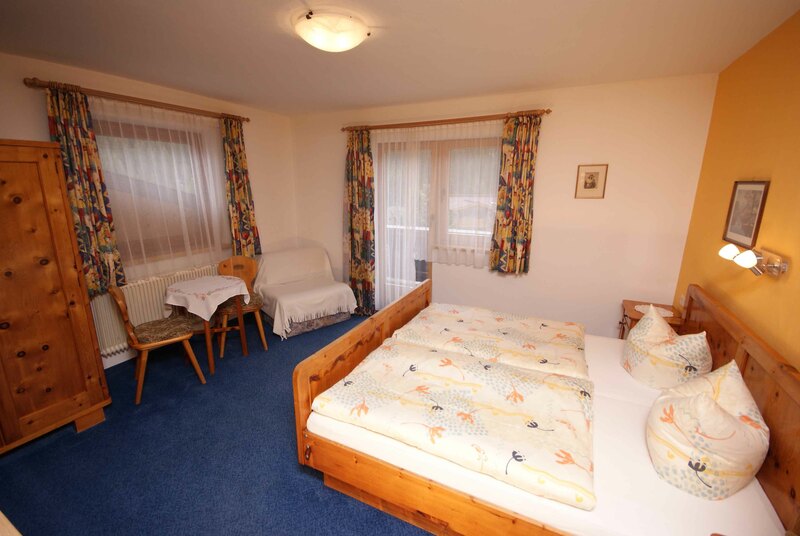 From Gerlos you have direct access to the large skiing area in the Zillertal Arena. 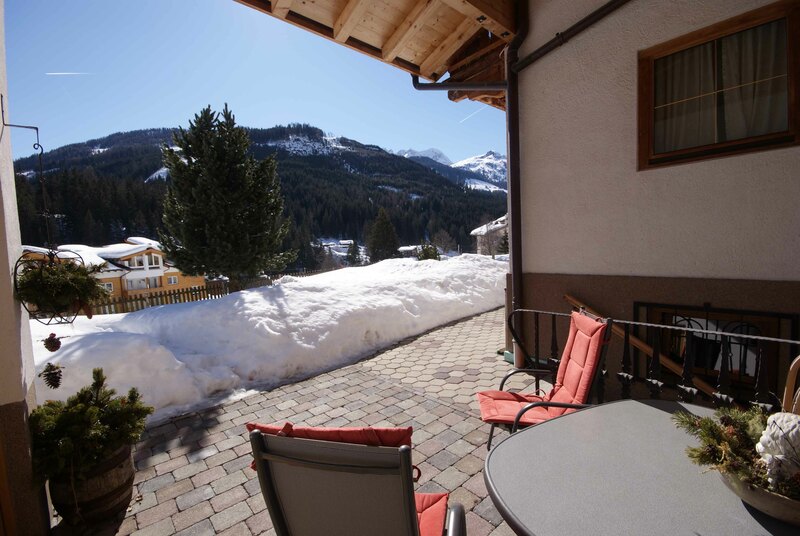 The area, which is situated high in the mountains, has guaranteed snow. 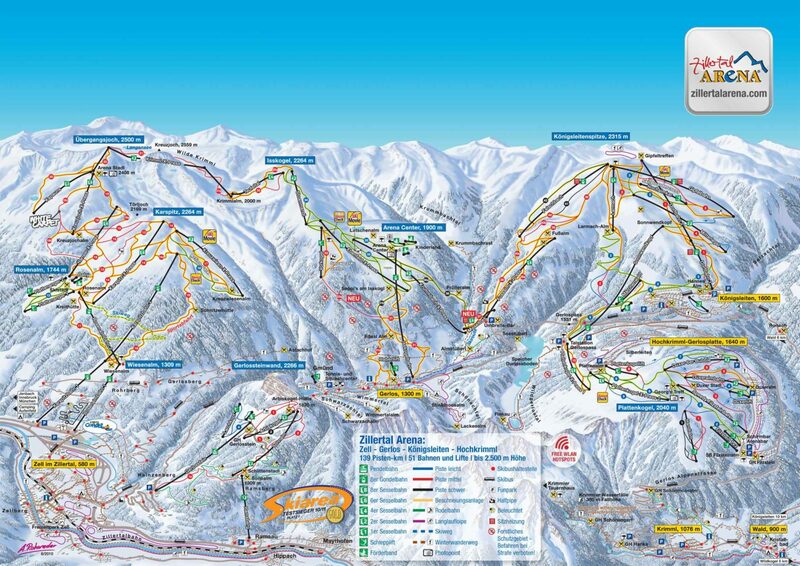 The Dorfbahn lift takes you to a choice of wide, blue slopes. More advanced skiers can have a whale of a time on one of the many red and black slopes, go on longer trips, or take the plunge on one of the challenging descents at nearby Königsleiten. 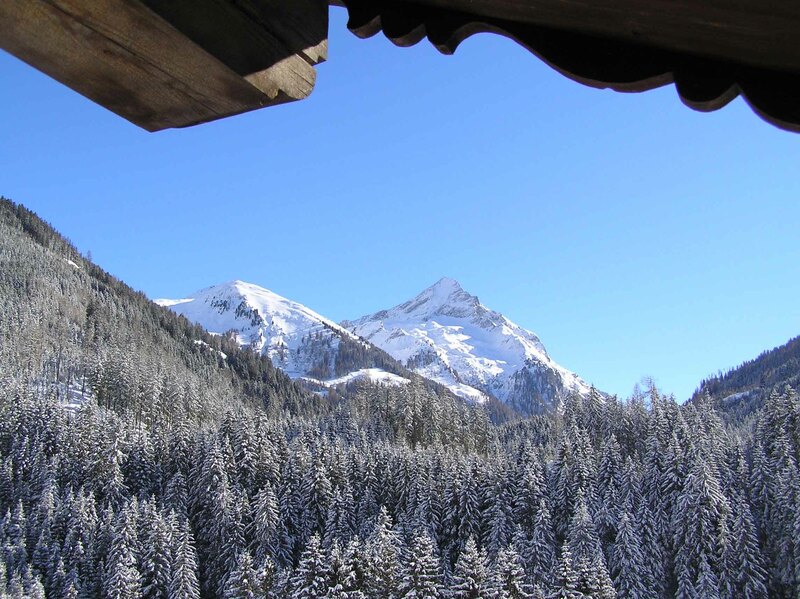 Real pioneers can avoid the ski slopes altogether and go on an adventure in the ‘Tiefschnee’. For snowboarders, the Isskogel has a spectacular half pipe and a wicked snow park. And cross country skiers don’t have to stay at home either in Gerlos; there are trails galore. 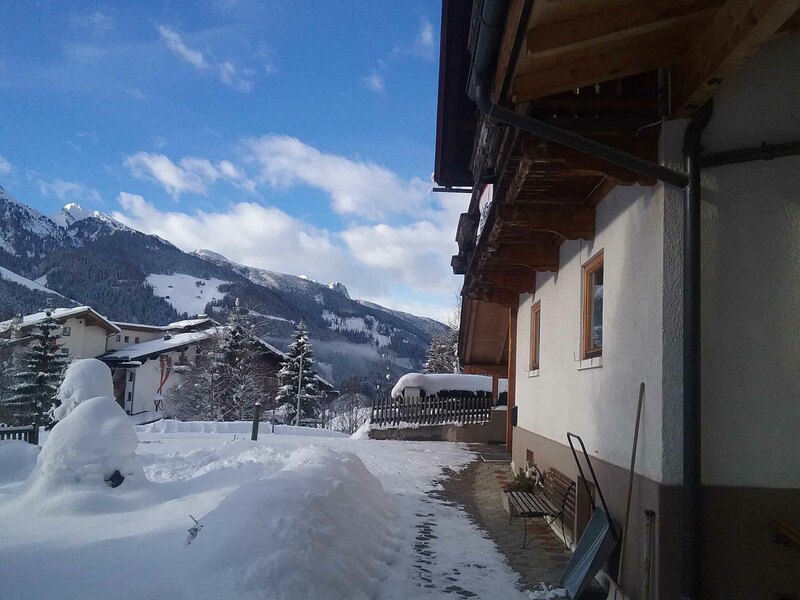 Such a winter day in Gerlos, at an elevation of 1300m has a very special ambience. Snow safety is in Gerlos a guarantee. 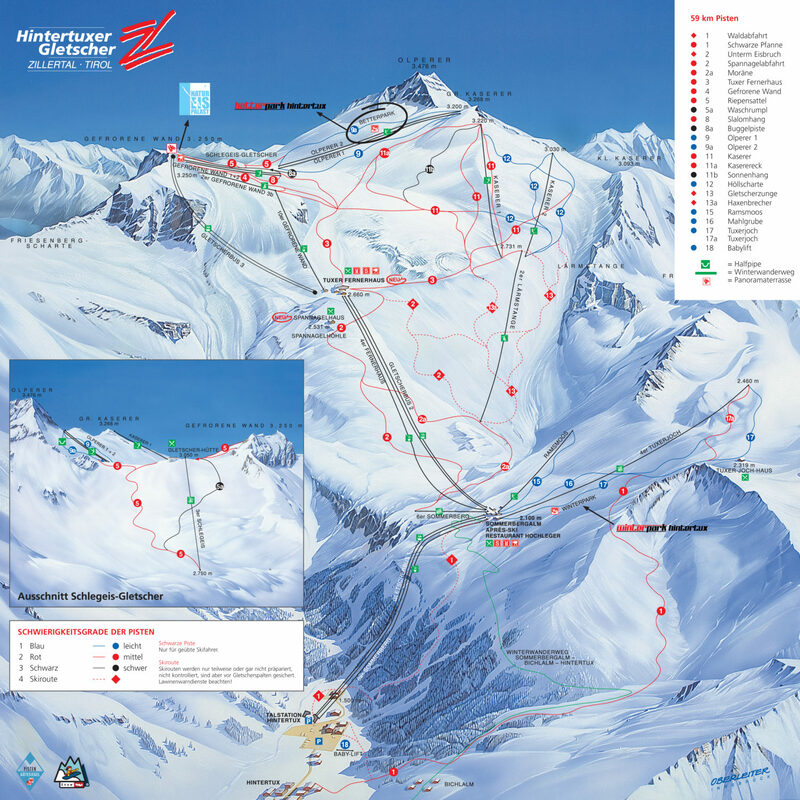 The local ski area is lift-linked to Zell am Ziller, Königsleiten and Gerlosplatte. 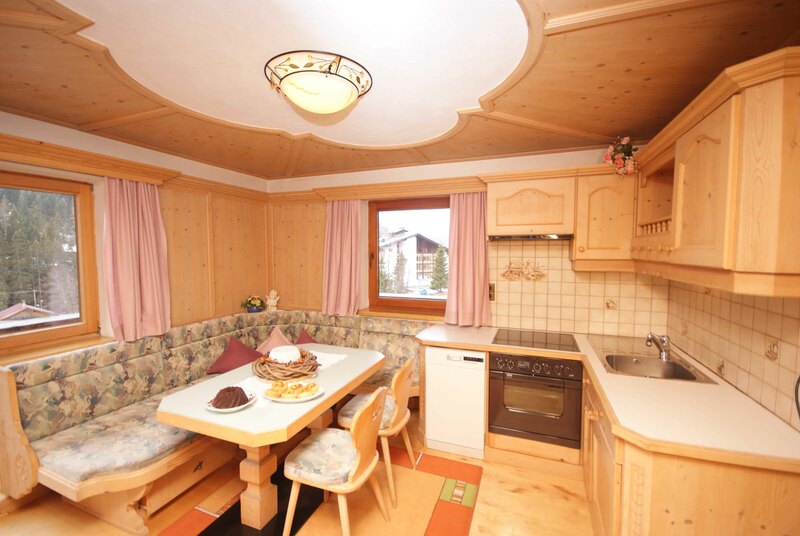 Numerous huts and snow-bars invite you to stop by. On newly created downhill ski runs you get back to the valley conveniently. 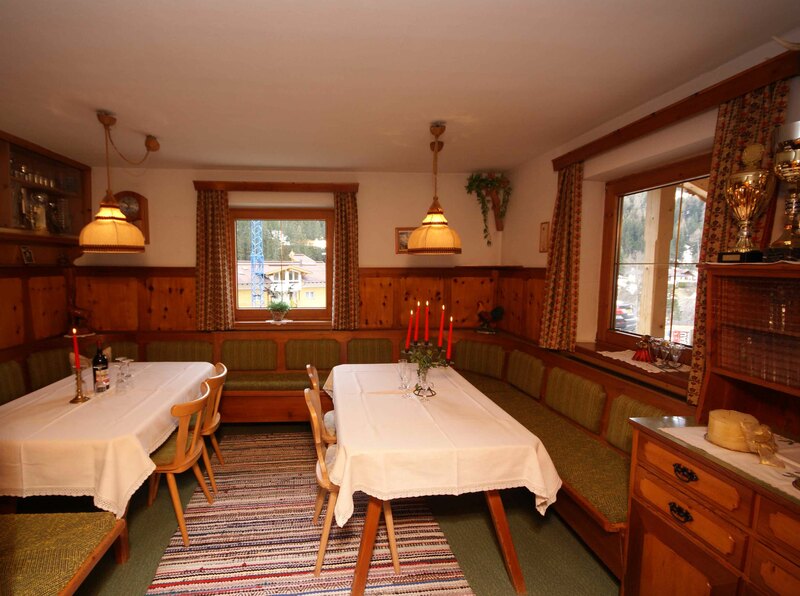 And the notorious après-ski in Gerlos is, of course, an essential feature after a wonderful day of skiing or snowboarding. For boarders and free skiers the Arena hot-zone.tv Snowpark in Gerlos, the first boarders playground snowpark in the Zillertal valley, offers an extraordinary freestyle-paradise. 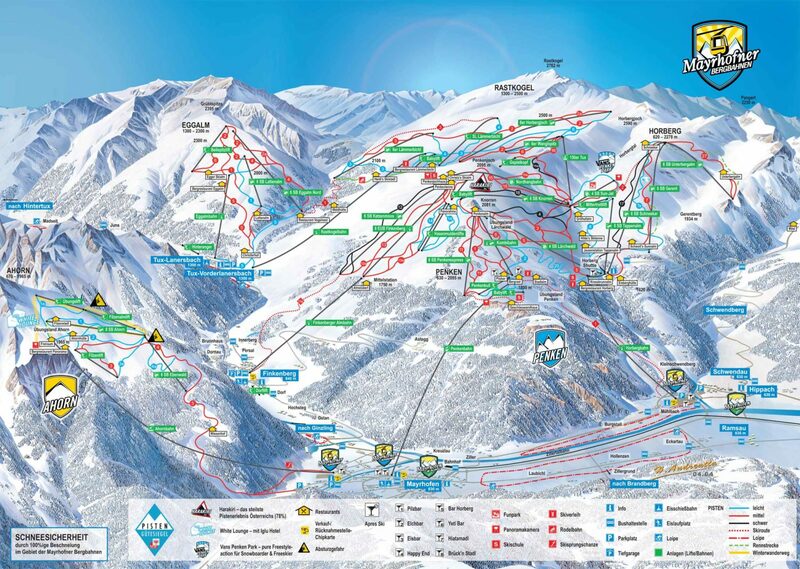 But Gerlos is number 1 not just for skiing and snowboarding. Experience the ultimate winter day in snow. 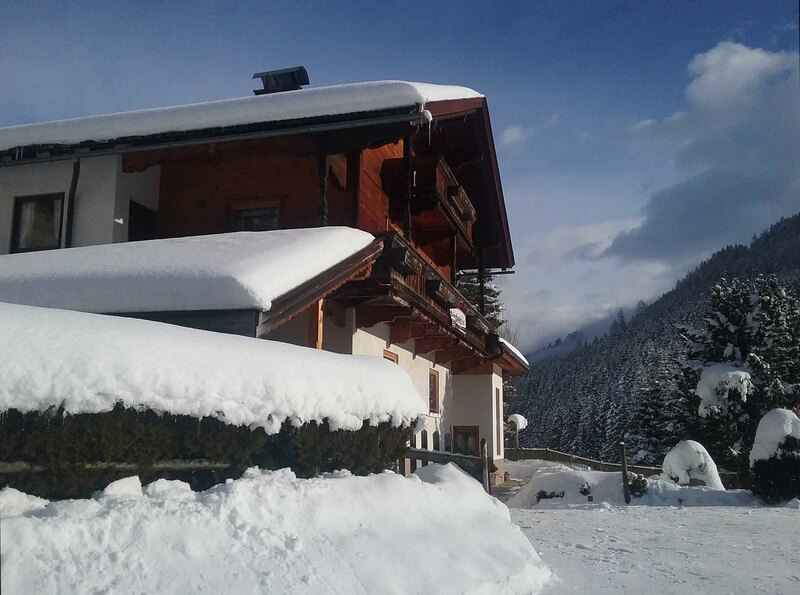 Whether it’s cross country skiing, tobogganing, horseback riding, paragliding or hiking, Gerlos, located in the heart of the Zillertal Arena, offers you the perfect winter sport enjoyment.